Since the first (recent) reports of chronic sexual abuse in the legislature first surfaced three months ago, we've been waiting for someone, anyone, to make a serious proposal to address the situation. The new house policy, passed by Charlie Geren, was as pathetic as we predicted. The Senate, meanwhile, is twiddling its thumbs. Following accusations of sexual misconduct against multiple state legislators, Abbott proposed that the Texas Rangers’ Public Integrity Unit be placed in charge of investigating these reports. The governor's office estimates that charging the Rangers with the task would require $2 million in funding. “By allowing these cases to be reported to the Texas Rangers ... we can ensure that claims are investigated by an impartial law enforcement body that is equipped to hold public servants accountable,” Abbott said. The good news: In the three months that recent reports have been out, this is the first time anyone in a position of real power has made a serious proposal on this issue. Obviously, this website has been critical of Governor Abbott over the past couple years. But, he's the first person to make anything remotely resembling a serious suggestion, so we applaud him. Furthermore, the Texas Rangers might be a good entity to investigate claims; they have a good reputation, and they know how to do this work. What happens with behavior that isn't criminal?!? -- The Texas Rangers are a law enforcement organization. That means their primary purpose is to gather evidence for criminal prosecutions. But, in many of these cases, the objectionable behavior isn't necessarily illegal. For example: Borris Miles forcibly kissing a woman probably constitutes some form of assault. But Borris Miles aggressively propositioning an intern or Carlos Uresti inquiring about a woman's underwear, while disgusting and horrid, probably isn't criminal. The criminal justice system can handle cases involving physical assault, but it's not well equipped to handle verbal harassment or intimidation. Will the Texas Rangers have jurisdiction in non-criminal cases?!? If not, do we want to give it to them?!? What would the unintended consequences of such a move be in 20 years?!? What sanctions will exist for bad actors?!? -- The Texas Rangers will probably be able to investigate claims well...but what happens once they find something?!? Are there going to be any actual penalties for this behavior?!? In this website's opinion, two specific sanctions would go the furthest: Loss of committee chairmanships and expulsion from the chamber; so far, neither of those are under discussion. How long will investigations take?!? -- The Texas Legislature only has 140 days to complete its business. Everybody knows that "delay equals death" in the legislature. What will prevent investigations from dragging out until the session is already over anyway?!? The slow-moving, bureaucratic, nature of government is bad enough...but once you add that members might have an incentive to move things as slowly as possible, it doesn't take a genius how this sort of policy could be rendered toothless. Two weeks seems like a reasonable amount of time after the survivor has come forward, but that's not currently under discussion. When will the public be informed?!? -- One of the reasons the culture of chronic sexual abuse at the Capitol became so entrenched is because everything gets handled behind closed doors. Will the public learn at the beginning of an investigation?!? At its conclusion?!? Or is the type of thing that will require regular and diligent open records requests?!? Sunlight is the best disinfectant and all that. Do these proposed changes require the legislature to pass a bill -- If so, see what the house did with Abbott's proposed ethics reforms the past two sessions. Will Abbott follow through?!? -- You'll pardon us if we've seen this movie before. Greg Abbott holds a high profile press conference where he says everything you want to hear. Then, when the rubber meets the road, his personal involvement is...inconsistent at best. For example: In 2017, Abbott outlined a great special session agenda. Then, during the special session, Abbott was nowhere to be found, and only about 30% of the good elements of his agenda passed. Then Abbott promises to hold the legislators who killed his agenda accountable. While Abbott has endorsed against three of the afore mentioned legislators, he's also let at least half a dozen others off the hook. Again...inconsistent at best. When it comes to Greg Abbott, at this point, actions speak a lot louder than anything he says at a high profile press conference during an election year. 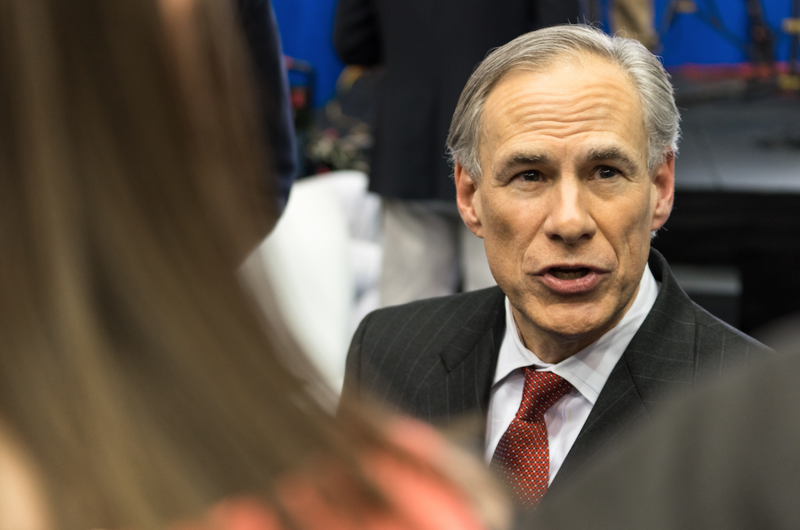 Bottom Line: Governor Abbott is the first prominent elected official to make a serious proposal. For that, he deserves credit. But we need to work through several more questions before we can have any confidence that behavior in the legislature will change.